I love vintage drinking glasses. I have a slight obsession to be truthful. They used to be really plentiful at garage/flea market/estate sales. All kinds of glasses in many sizes. Now I get all excited when I see one random loner at any sale. Yet, I can report that the glassware from the 70's is plentiful. Sadly, the stuff from the 50-60's has dried up for me. Unless I want to break down and pay antique mall prices. As I was roaming through Pinterest looking for Hazel Atlas advertisements... 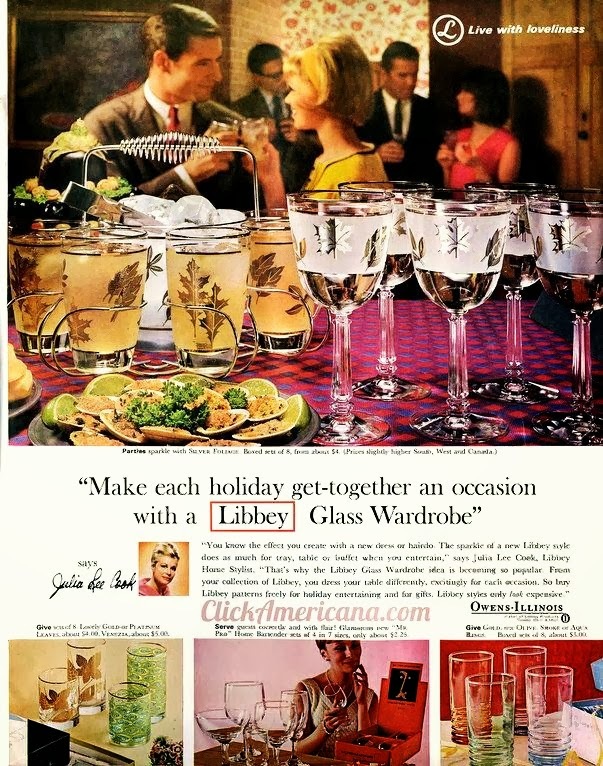 I kept coming up with these ad's for the vintage Libbey glassware. Really cute stuff! 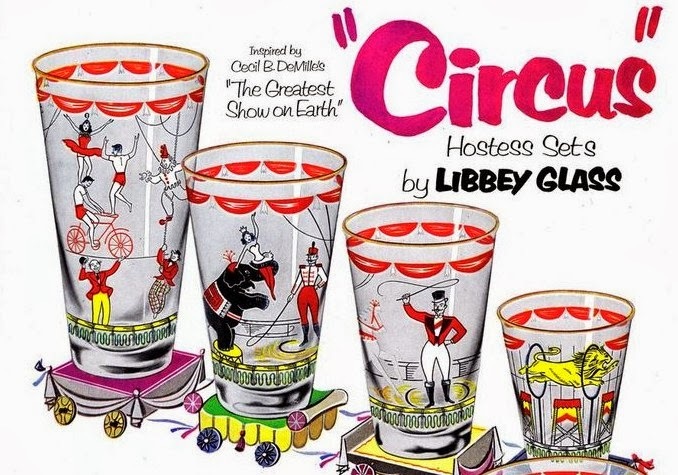 So let's take a peek at the Libbey glassware I have stashed in my cabinets. 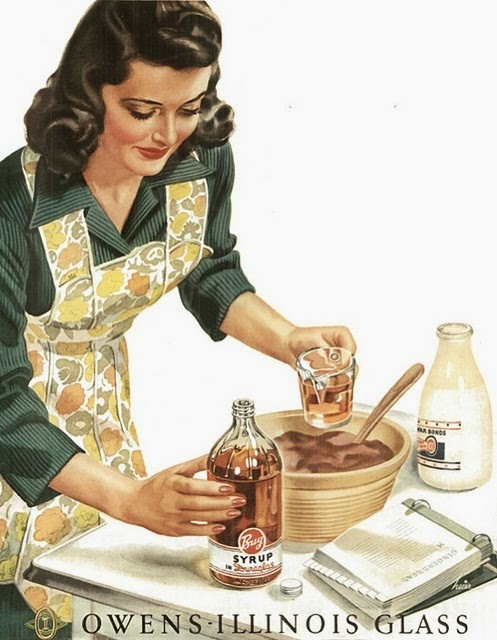 Which brings me to this vintage advertisement for Libbey. Also located in Pinterest. 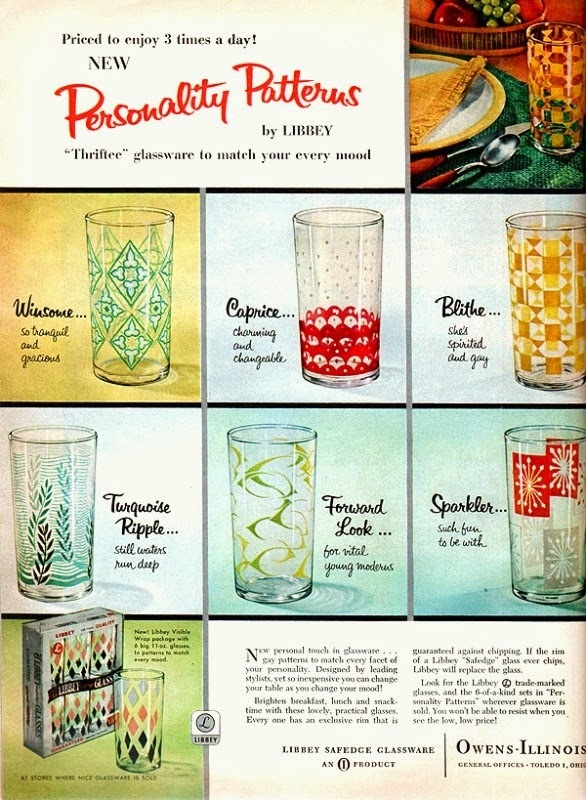 Like Hazel Atlas... Libbey made oodles of decorative drinking glasses... for decades. Lots of pretty to be found. 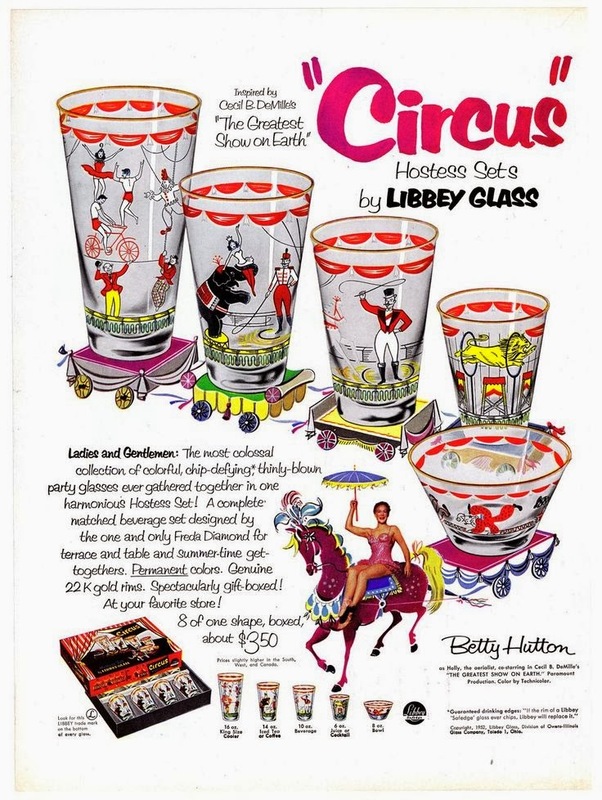 So as I was looking through these old advertising pages, I notice that Libbey was owned by Owens Illinois Glass. I had not realize that before now. 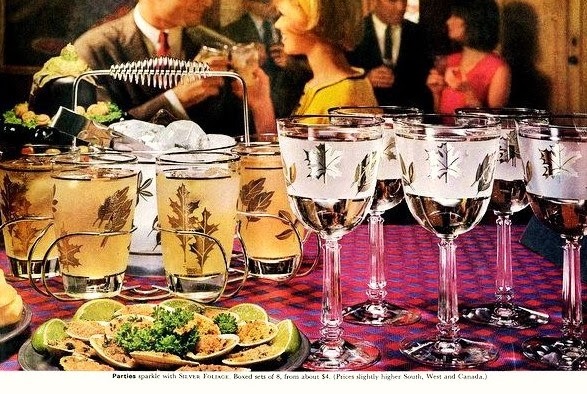 Those gold leaf and silver leaf glasses have always been plentiful. Seen lots of them over the years. So they look to have been a big seller for Libbey. Really pretty glassware.... would have look great year round, on the table for dinner. And I love a pretty table setting! Ohhh and speaking of colored fire on glassware... I saw this advertisement! 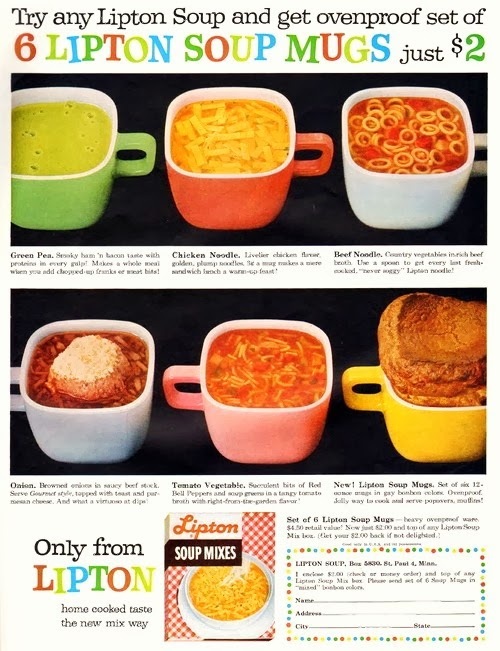 I have always heard these referenced as "Lipton cups"... but never had seen the way they were sold. They were a premium from Lipton. 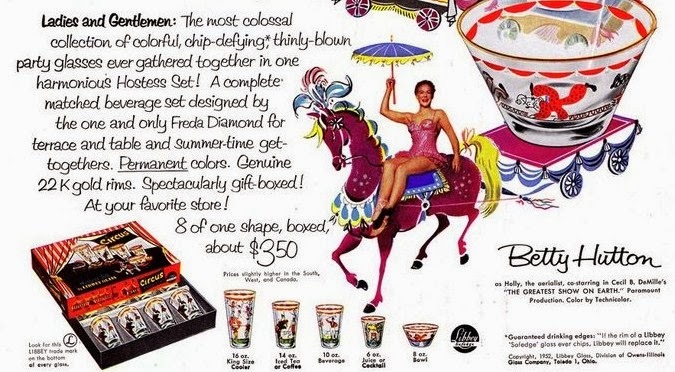 For two bucks... Lipton would send you 6 of these fabulous mugs. I love these! Love these (especially the Circus glasses)! 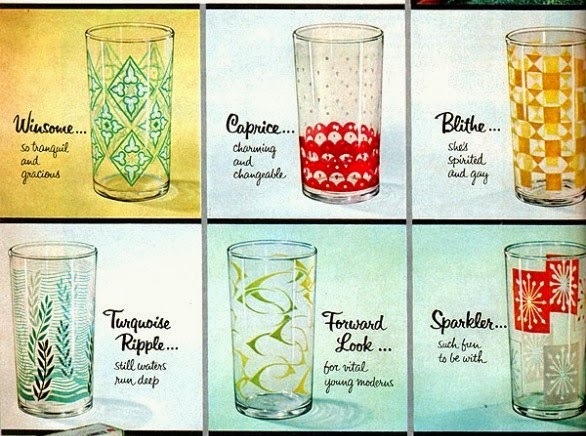 Of these, I'm only lucky enough to have some of the Sparkler design in my pretty big collection of vintage glasses. I have not seen any of those Circus glasses in person, either. But they are fabulous! Thanks for an interesting and informative post. Those circus glasses are to-die-for!